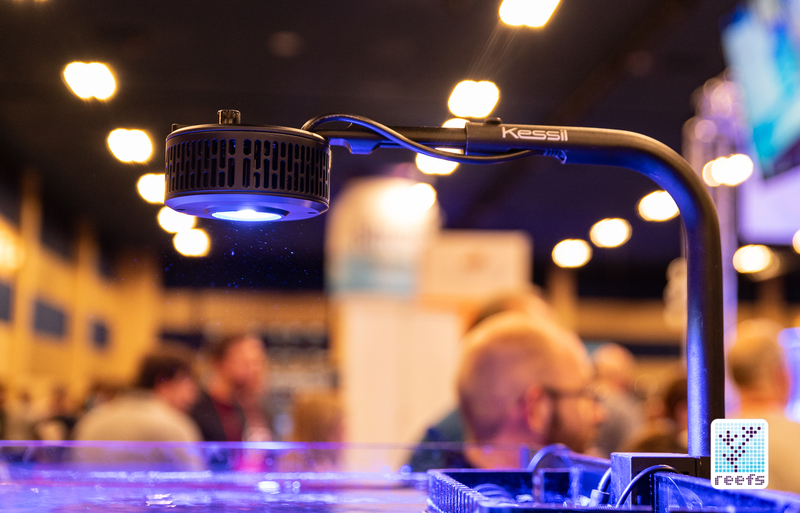 The Kessil a360x light announcement was one of the most significant reveals that came just in time for MACNA in Las Vegas and, unsurprisingly, the company’s booth gathered crowds of curious reefers longing to play with the new light. 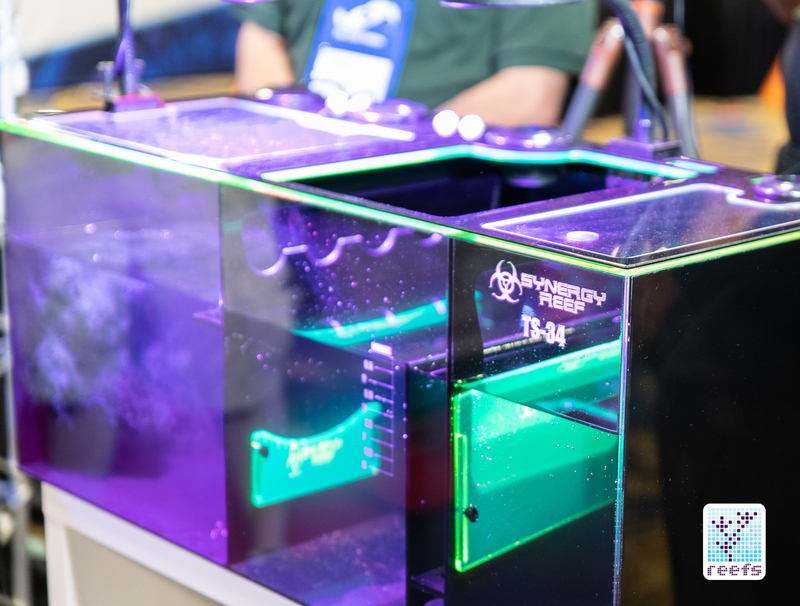 Available at launch in two versions- the saltwater a360x Tuna Blue and freshwater a360x Tuna Sun, the new light from Kessil is a vast improvement over the original a360 series that has dominated the reef aquarium world for the past couple of years. At first glance, a360x looks like a shrunken version of the original a360. It’s a little bigger in diameter, but significantly shorter in height (30% less volume according to Kessil). Everything inside the light, including the driver and the electronics that provide power and control to the LED array, has been revamped to work around the new heatsink and fan enclosed in the slimmer casing. 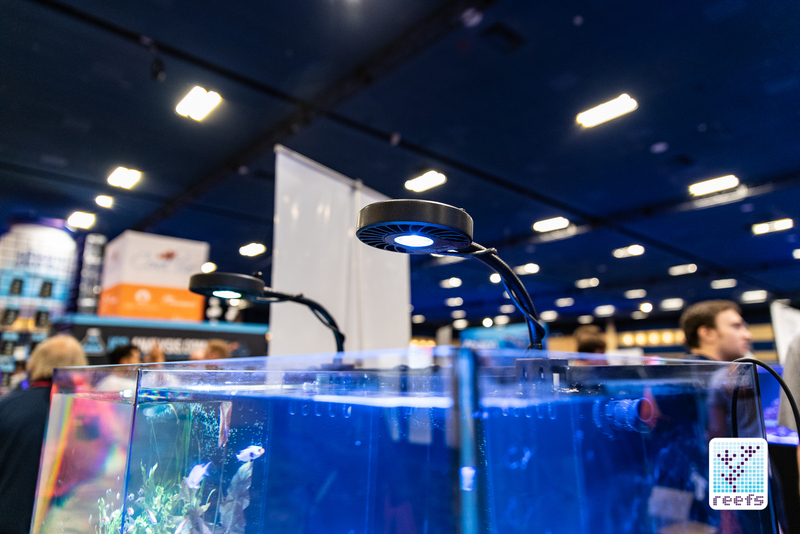 Kessil a360x features a new Dense Matrix LED chip that provides 25% more power than the previous generation and it also has some new, independently controlled emitters for better control of the light’s visual output. The control scheme was redesigned accordingly, with a new USB-C type connection and a dedicated controller, as well as a Wi-Fi dongle that will be coming out at some point in the future. 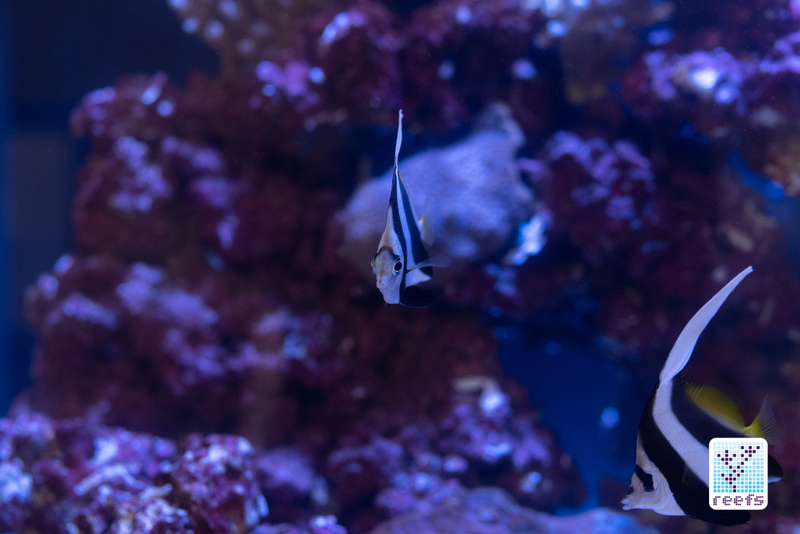 In summary, a360x represents a new step in Kessil’s evolution and a much-appreciated upgrade to the current light lineup. 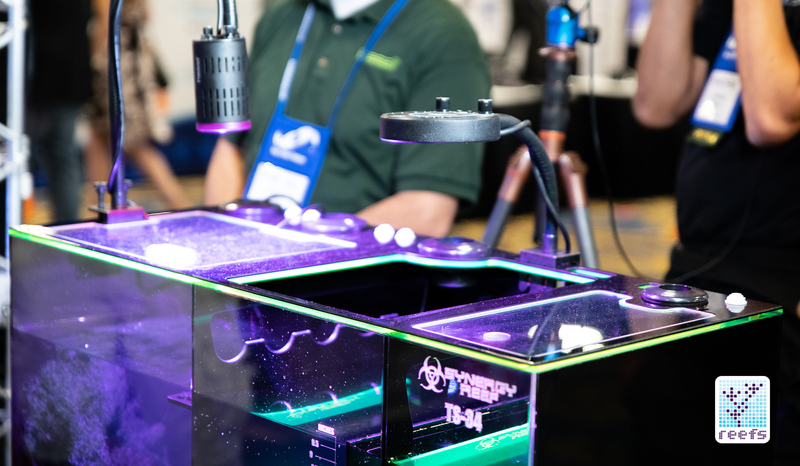 I sat down with David Lowry to discuss the new light, Kessil’s other new developments, and the company’s future roadmap. Below is a transcript of that conversation: Me: Hey there, thank you for your time. 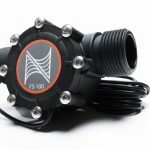 I must admit, I find the announcement of your newest generation of lights as one of the most important news here at MACNA and I would love to learn as much as you can tell me about the a360x. David: Sure thing and thank you. Me: So tell me, in a nutshell, what changes does a360x brings to Kessil’s light lineup? D: A lot [smiling]! 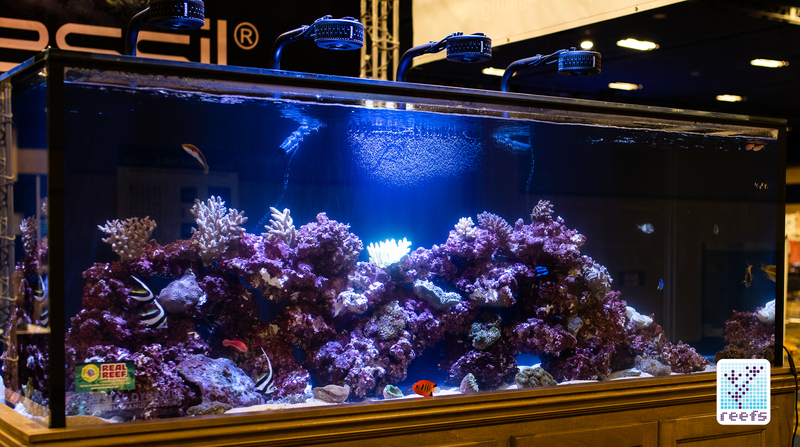 This is [pointing at the light hanging above a massive reef tank display at the Kessil booth] the new a360x. The most important thing to look at is: number one, it’s a low profile design when compared to the previous a360 generation. 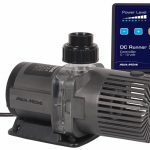 We’ve redesigned the heatsink, the new fan, and everything else that resides inside the light to make it 30% smaller than the previous light while, at the same time, achieving a 25% light output increase. That means that a360x’s photon volume density, or in other words, how much light you get for the size of the fixture, is higher than anything else on the market. Me: That means the LED matrix inside the new light is also completely new… D: Exactly. With the new Dense Matrix LED chip, we built in extra color control. 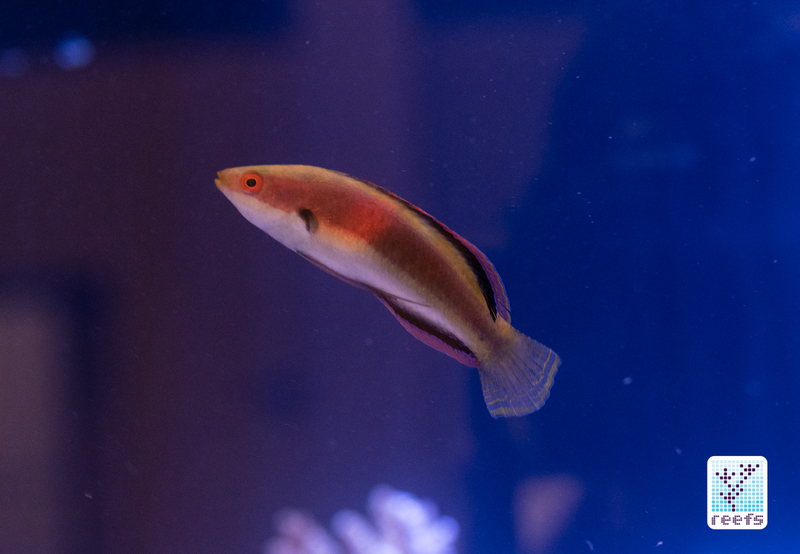 You still have our “Kessil Logic protocol”, meaning that the spectrum is locked in, but now you have more control over the visual colors. You can adjust the Tuna Blue along with red, green, and violet LEDs. Me: Four individual channels of light control. D:Yes. Tuna Blue will give you everything, including the full spectrum, while these additional channels let you adjust the visual output to your liking. The new light also features extra low dimming, so now you can do much more control than the original a360. You can dim the light all the way down and run it in moonlight mode, for example, something that could not be done with the previous generation. Me: I’ve read that alongside the a360x, you are coming out with a Wi-Fi module and a new controller. Tell me about it. D: The new K-link controller, called Spectral Controller X, is a redesigned, smart controller that allows for two-way communication. It not only communicates with all the lights connected to it, but it also feeds back information to the user and to us, in case we need to troubleshoot the light or check its status remotely. The physical connection is new as well- we moved from a 3.5mm jack to a USB-C port, which is more water and rust resistant, just like the USB-C ports used in newer cell phones. As soon as you connect the lights together, they detect each other, so if you have the new Spectral Controller X, or the Wi-Fi dongle we will be releasing next year, the lights will automatically set themselves up. Me: Help me understand that- if, for example, I buy one light and then buy another later on, the two will automatically share the same program, right? D: Yes, exactly. You need to run a physical connection between lights in order to do that. Me: Please explain why, in times where onboard Wi-Fi modules are becoming a standard, you decided not to include it in a360x. D: The main reason we did not include Wi-Fi in the light is that in order to have a high security, good value Wi-Fi chip, it would drive the price way up and we didn’t want to go that route. Plus, there are so many Wi-Fi signals in everybody’s homes now, it’s very easy to run into Wi-Fi discrepancies. 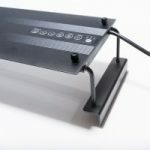 We try to make it simple- you just connect the lights together, add a Wi-Fi dongle or a controller, and they instantly communicate with each other. There’s no need to “add” lights to the group or anything like that- once you physically connect them together, that’s all you need to program all of them at once. Me: What else should we know about the new light? D: The a360x is backward compatible with all existing mounting: the arm, the gooseneck; it will basically work with all mounts that were designed to be used by the previous generation of a360 lights. Also, we only offer one model now, with a slightly wider lens that covers more area and eliminates dead spots. We still have the dimming knobs on top for manual dimming, the only difference now is that there is no master light- any light you touch will adjust all in the string. Me: Great. What’s the future of the new x light? 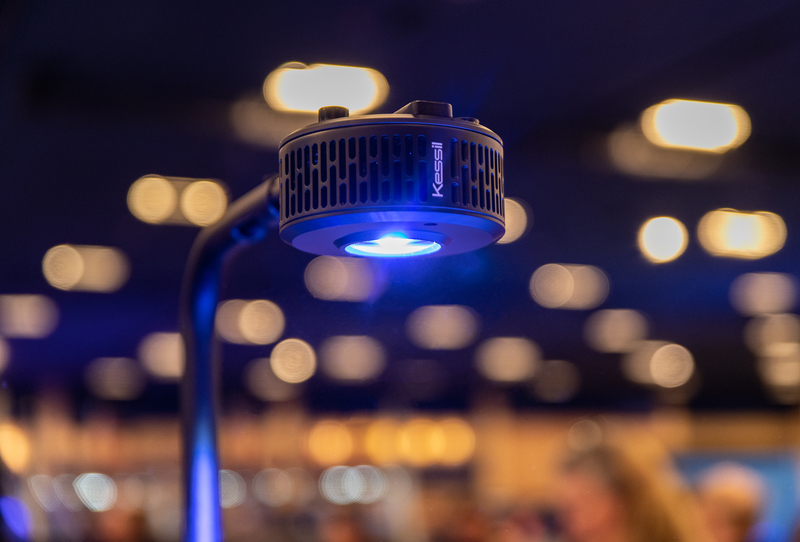 D: We are hoping to take the x series to the other fixtures, it will be a year or two down the road, but we will be updating our other lights to this new technology at some point in the future. Me: Now perhaps the most important question: When? [smiling] D:We just announced the light and we are planning to release it November this year, along with the Spectral Controller X. The Wi-Fi dongle will be available for purchase next year. 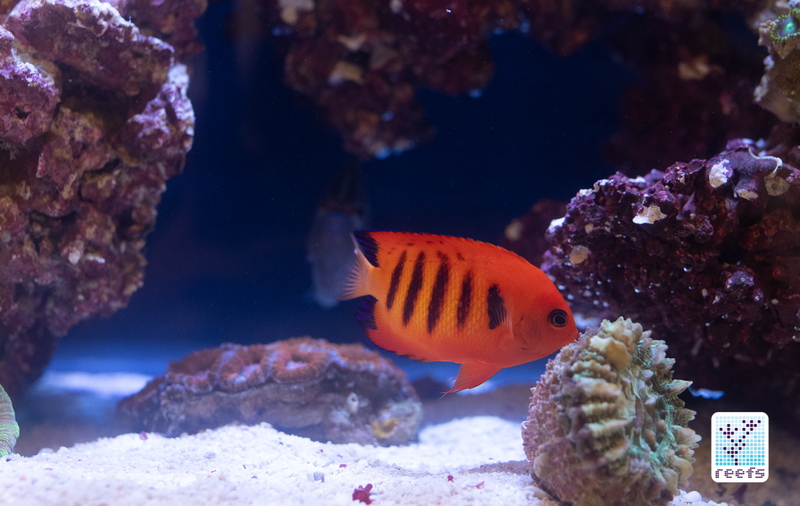 Me: Anything else in the Kessil world our readers should know about? 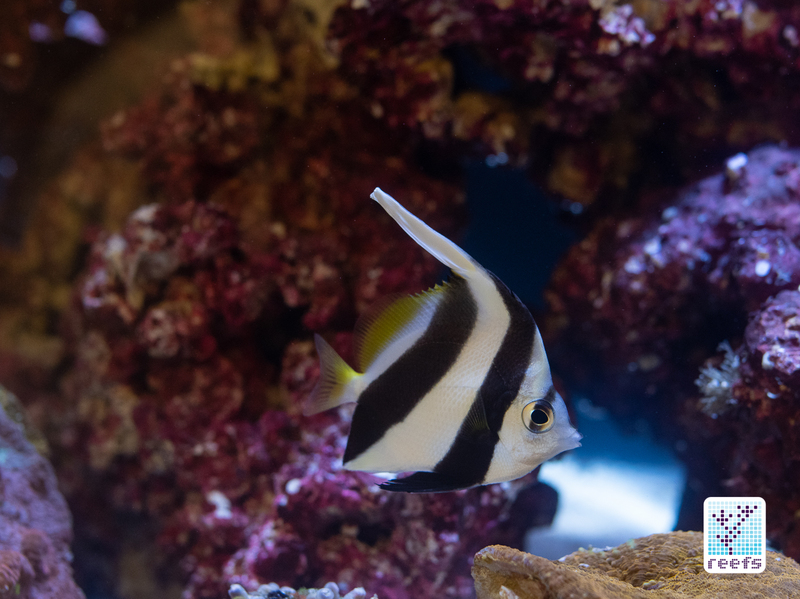 D: I don’t know if you are aware, but recently, the refugium lights gained a lot of traction. 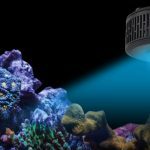 Kessil has always been spectrum specific lighting- we’ve done horticulture lights, freshwater aquarium, photoredux lighting, etc. One thing we found is that when people use our horticulture specific lighting in refugiums, they are reporting very positive results in growing macroalgae in their systems. 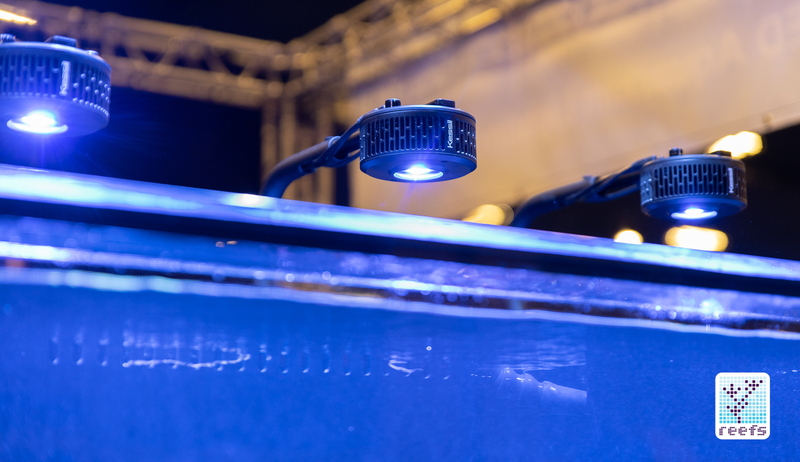 Those are the H-series lights and we even have a special preset just for growing macroalgae in saltwater tanks. Me: Awesome, thank you for all the information and I can’t wait to see a360x in action! D: Thank you, we appreciate your work, nice talking to ya! 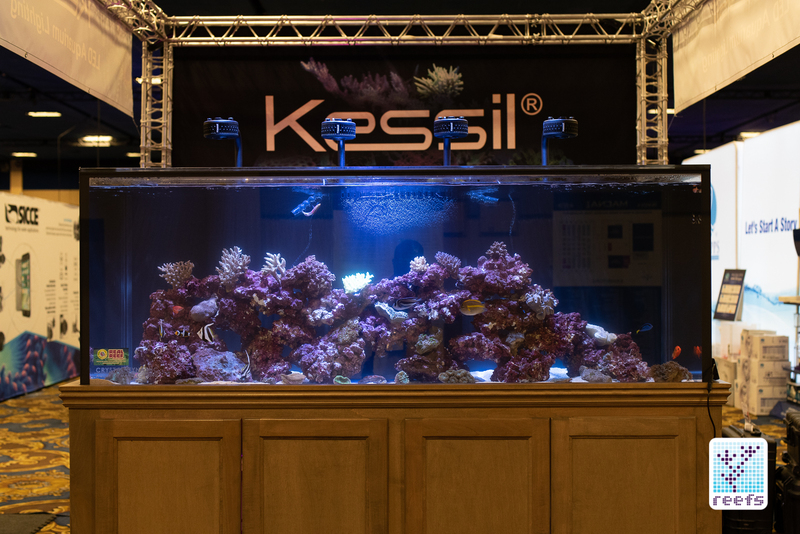 You can learn more about Kessil a360x here: http://www.kessil.com/products/saltwater_A360X.php More MACNA articles are coming soon, so as usual, stay tuned!